Can You Make Me Stop Smoking? People often come along for hypnosis and say “I want you to make me stop smoking,” but I have to be honest with them and tell them that’s something I can’t do. No-one, not even the most skilled hypnotist can make anyone stop smoking if they aren’t ready to stop for any reason. I also explain that giving someone else power over you means you believe you are powerless. I can’t make you quit smoking but what I can do is show you how to quit. I can show you where you’ve been going wrong in your previous attempts to quit and help you to make the right moves that will lead to successfully quitting. I can show you how to change the way you feel and think about cigarettes and how to use your willpower correctly making it easy to quit. I can assist you in changing the internal programming that has been keeping the habit in place. The only difference between a person who can quit smoking easily and one who struggles is in their mind. Hypnosis a tool that can be used to re-program the mind and turn you into someone who can walk away with ease. It doesn’t matter how long you’ve smoked or how heavily, it’s just as easy for the long term heavy smoker to quit as the occasional user. Using the right techniques you can be free without cravings, without withdrawal symptoms an without weight gain. 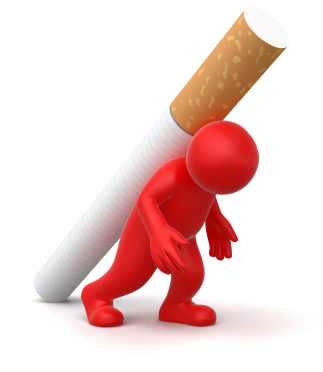 A skilled hypnotist can assist you and lead you through the minefield of quitting smoking as long as you are ready to quit and commited to quitting. Wouldn’t it be wonderful if I had a magic stick that I could wave and make people do things against their will? Or perhaps not! Their is no such stick fortunately but I can help you to do the things you really desire but are having difficulty with. If you are ready to stop and commited to stopping a hypnotist can help you by working with you towards a common goal. You have all the power withing you to quit smoking already, it’s the hypnotists job to help you access the power.